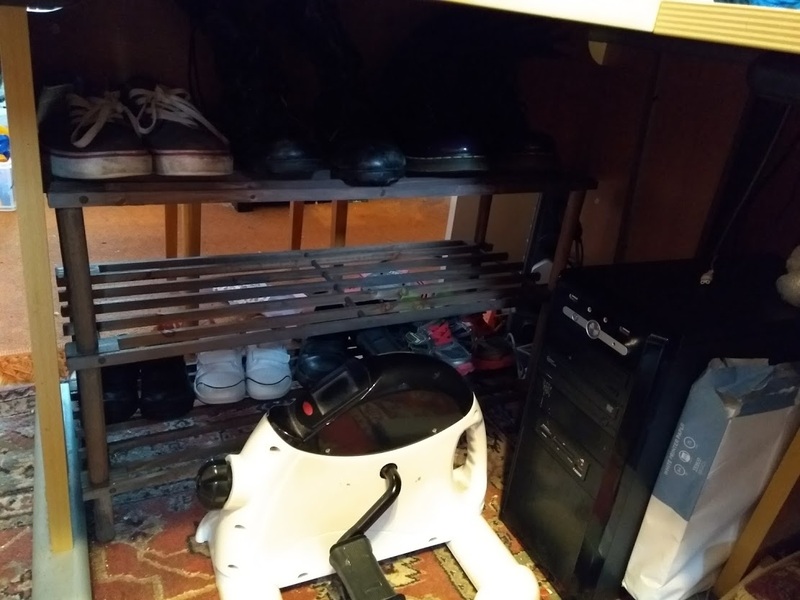 Well okay, it’s not a tree, but it’s a shoe rack, and it’s made out of wood. I had suggested to Z that we get one to replace the one we had been using, since it wasn’t suitable for small people shoes. I had inspiration for its placement while Z was putting it together. We had originally planned to put it in the coat cupboard, but he’s right — it would have been too big to work well in there. It works great under the desk though. And because there is the back wood, it means the top shelf is only accessible from my side. Which means it works perfect for my shoes, and has thusly been utilised. While the rain hasn’t started yet, the snow and ice have started to melt. The cars are already cleared, which is very encouraging for getting around and about on Monday. As usual, we’ll see. For now, gonna get back to gaming.